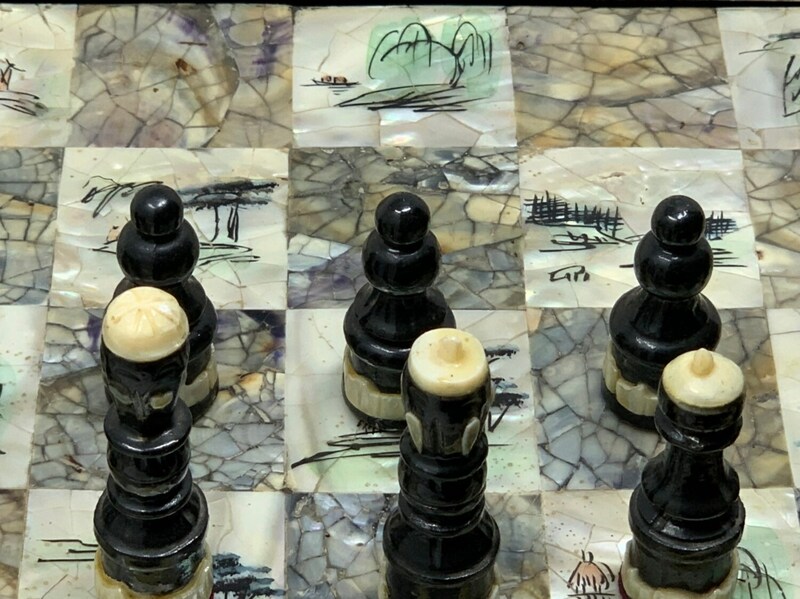 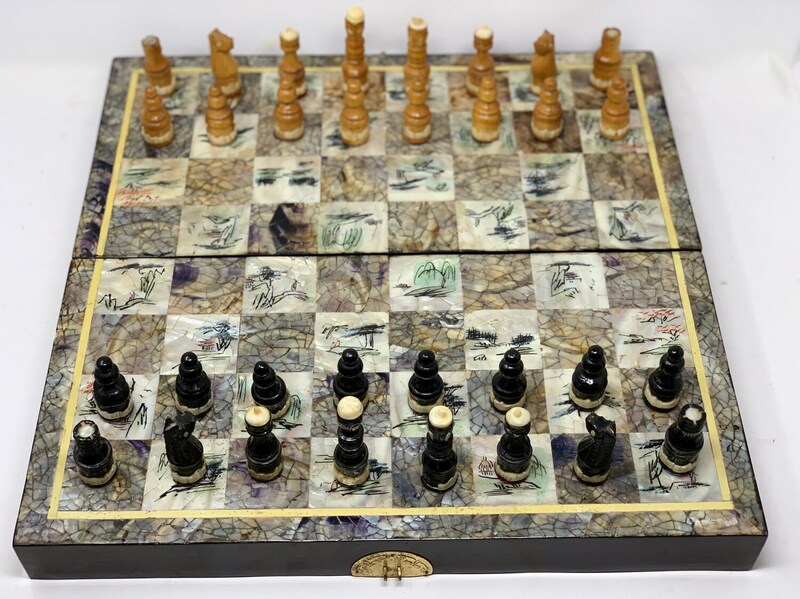 Old chess leather Dragon Flakes Fujian by its rugged finish in flake shapes made of nacre and pearls. 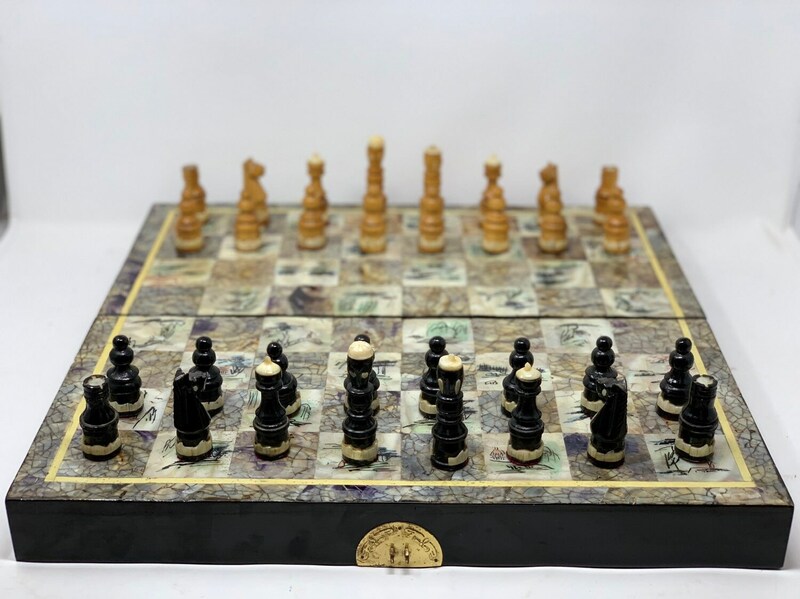 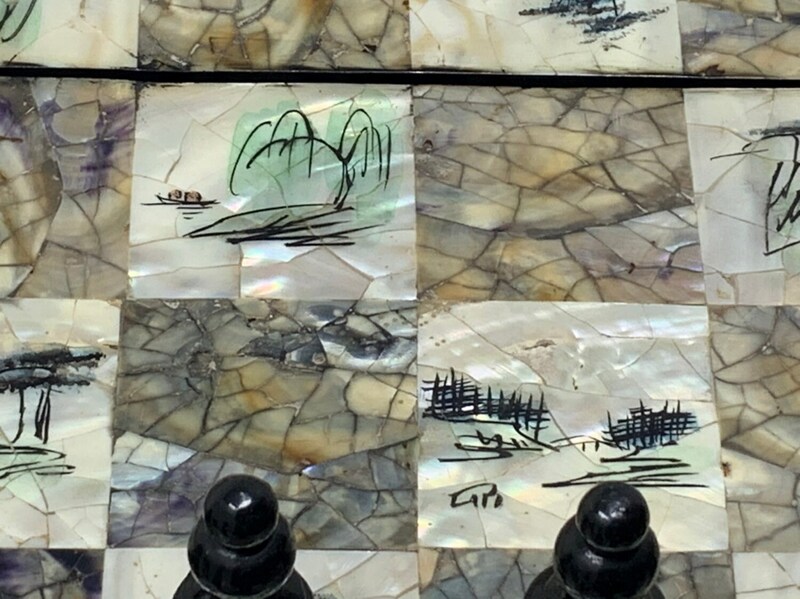 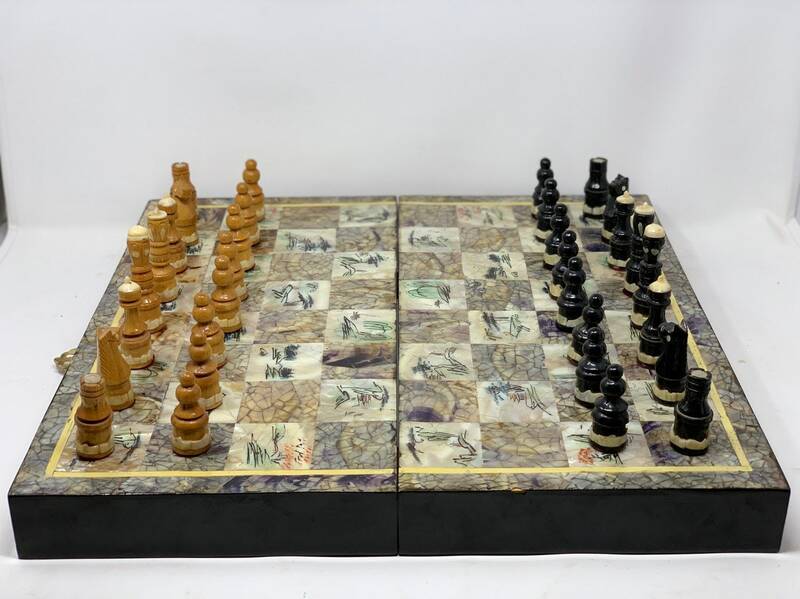 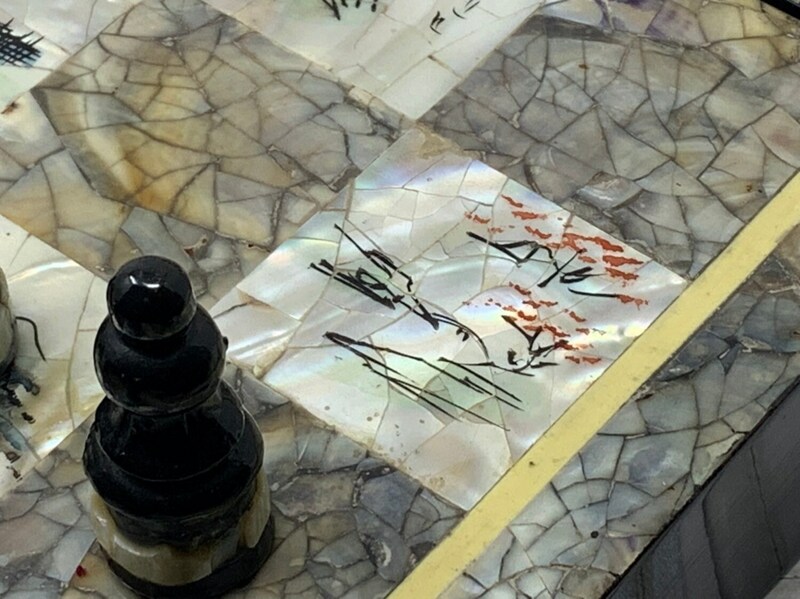 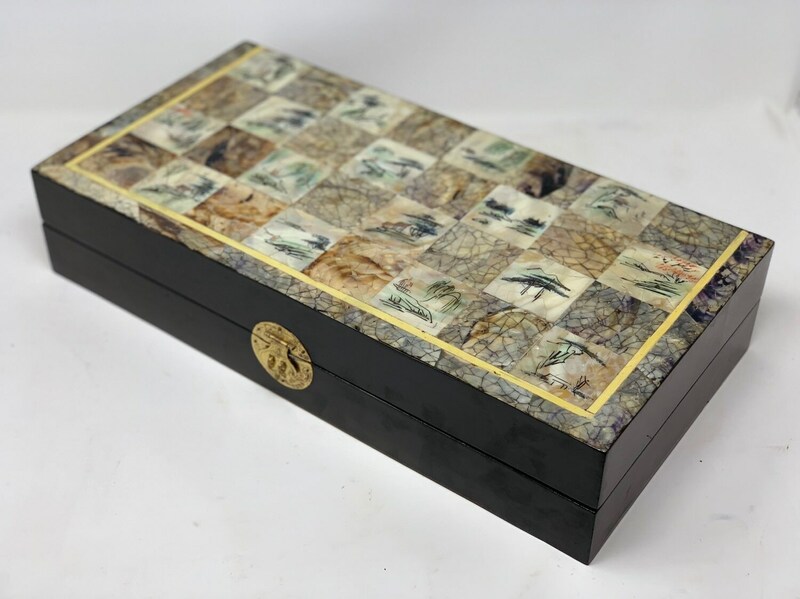 In this totally handmade art we find a board that is a real marvel, where in each square of several pieces of mother-of-pearl are hand-painted precious temples and landscapes of the Far East that will delight the collectors. 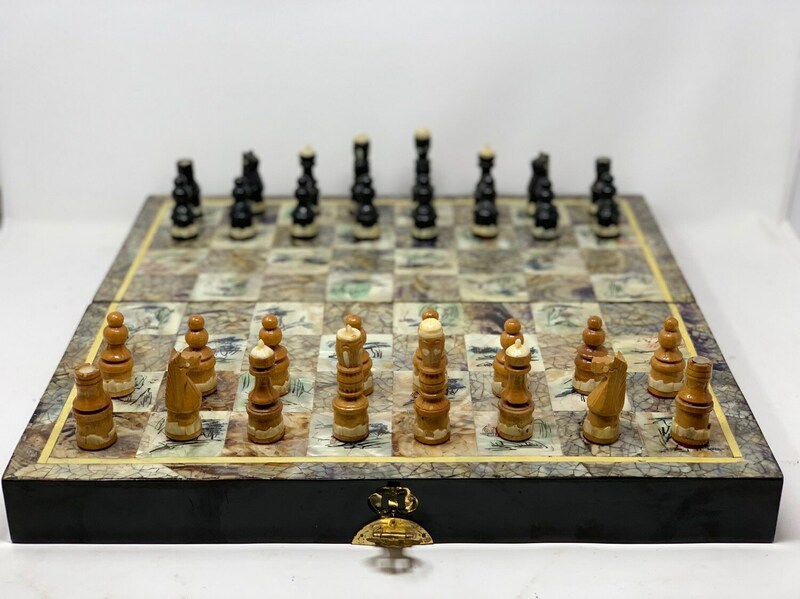 In addition the board inside is covered with velvet in detail where the pieces are housed. 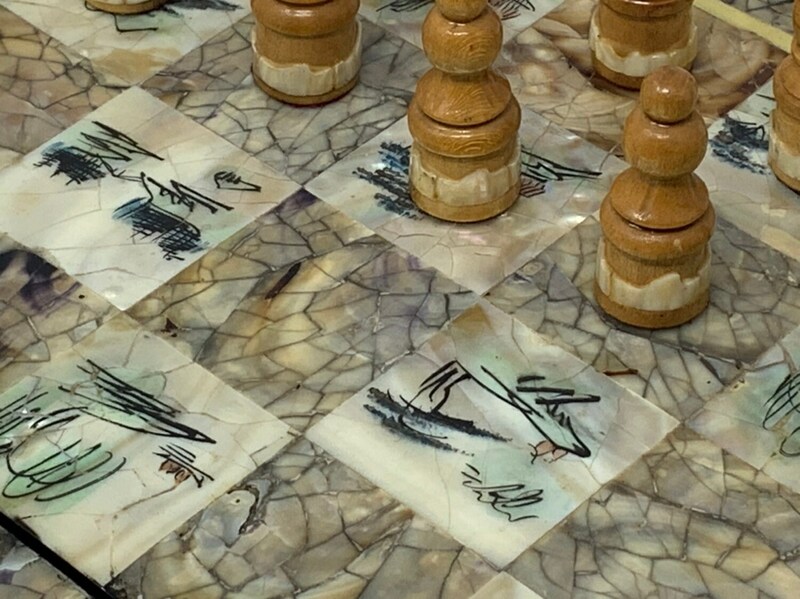 The 32 pieces of wood body and classic decoration of nacre and pearls. 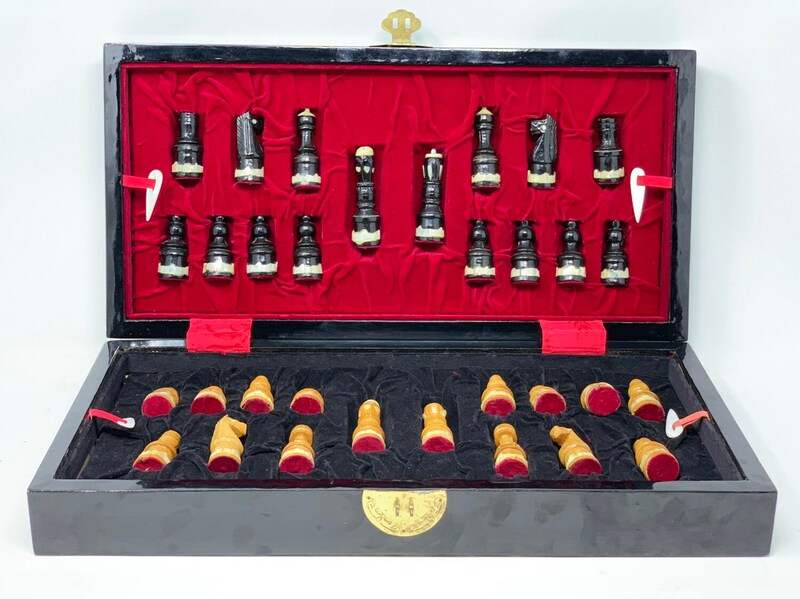 Chess highly valued for its antiquity and artisan work, very decorative externally and internally.